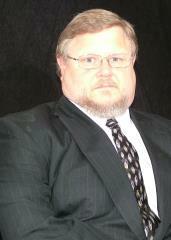 Barry joined Glass Systems, Inc. in January 2012 as Plant Supervisor at the Snapfinger plant. Prior to his career at Glass Systems, He started his Glazing career from the ground up to Job Foreman with Arrow Glass for 8 years, Glass & Metal Erectors as Job Foreman for 5 years and T & L Services for 15 years. Barry went from Job Foreman to Shop Foreman to the Engineering Department Drafting and Design up to Assistant Project Manager then with Trainor Glass Company as their Plant Supervisor and CNC Programmer for the Atlanta plant for 4 years. We are excited to have Barry at Glass Systems as he will bring a tremendous amount of talent and knowledge with him and will be a great asset to our company.